Assignment: Create a soft circuit using 1 battery, at least 2 LEDs, and 1 switch; be creative with the switch. 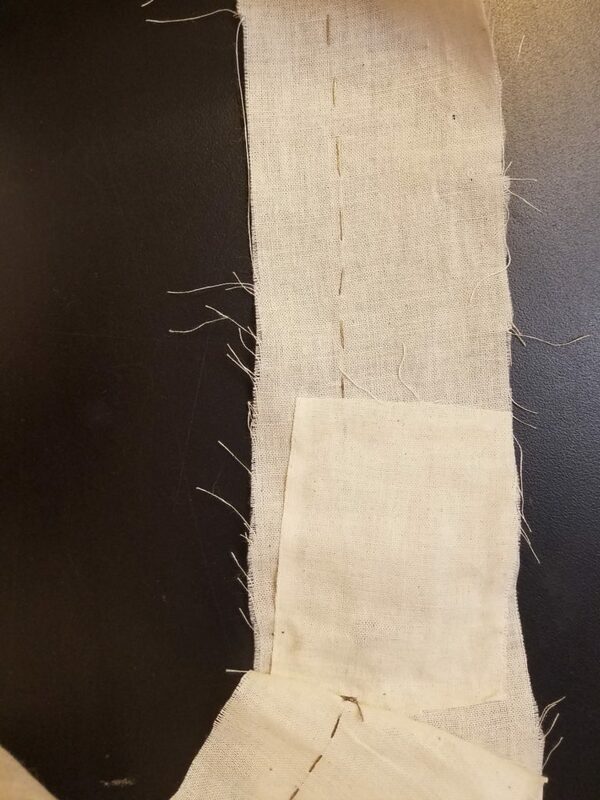 For our first assignment, we were given the chance to create any soft circuit we wanted, on whatever we wanted––existing clothing or not. When thinking about creative ways of making a switch. I knew I wanted to take inspiration from the affordances of existing clothing and I found it in my dear friend and roommate Paul. Paul is a dapper gent. He wears hats and ties and jackets daily. Occasionally, when the stars align and we go out for a particularly campy good time, he will don a pair of disco shoes with flashing multicolor LEDs in the soles. When I was talking to him about this class, he suggested I make him a tie to go along with those shoes. He even went so far as to donate an old tie he didn’t mind being destroyed to the cause. I started by looking at a tie’s design and considered what affordances for human/tie interaction there are. A tie is tied around the neck with varying types of knots. 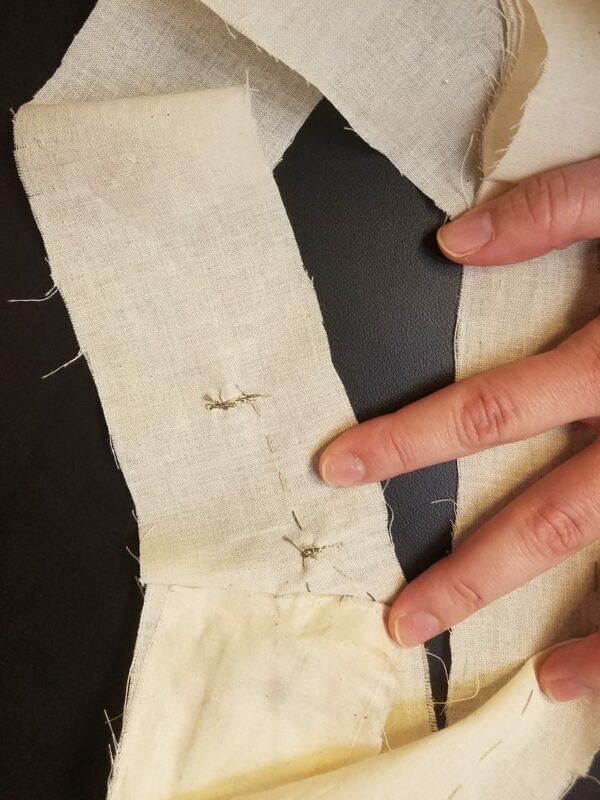 There is always a little strap (keeper loop) on the back to tuck the tail end of the tie so that it doesn’t flap around messily. 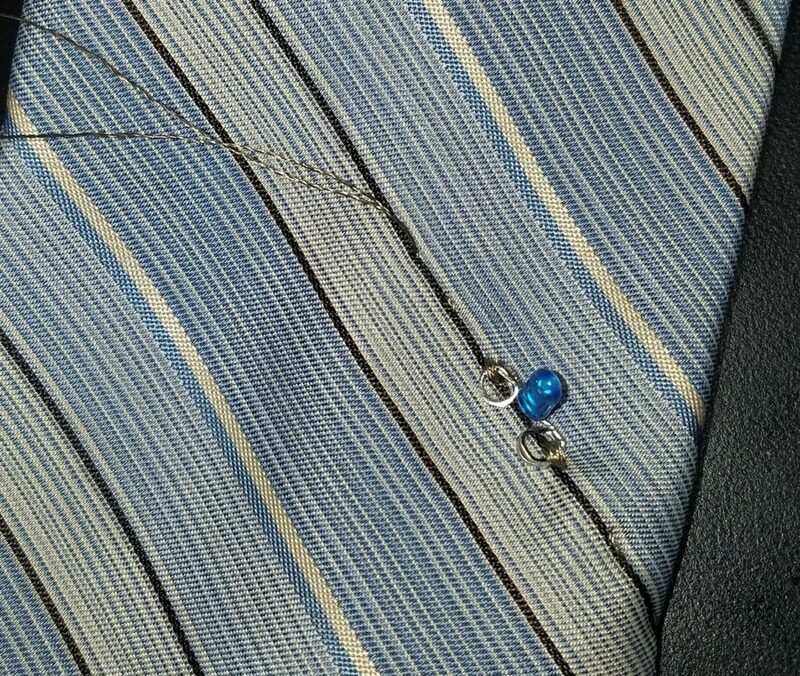 It also often utilizes a tie clip to keep in place against a buttoned down shirt. 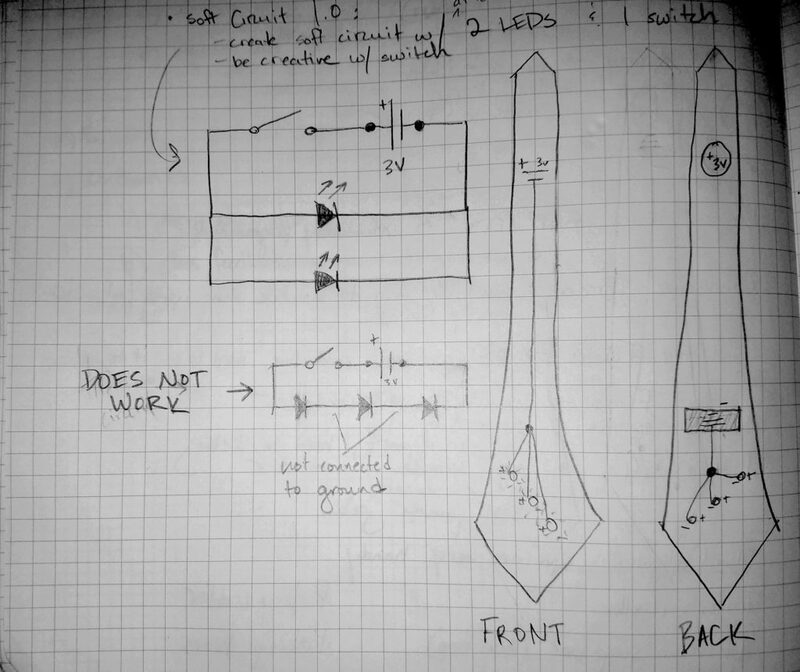 A lot could be made of any of these affordances when designing a soft circuit through a tie. I decided that the act of tucking the tail end of the tie into the keeper loop would be the action that completes the circuit in order to turn on the embedded LEDs. 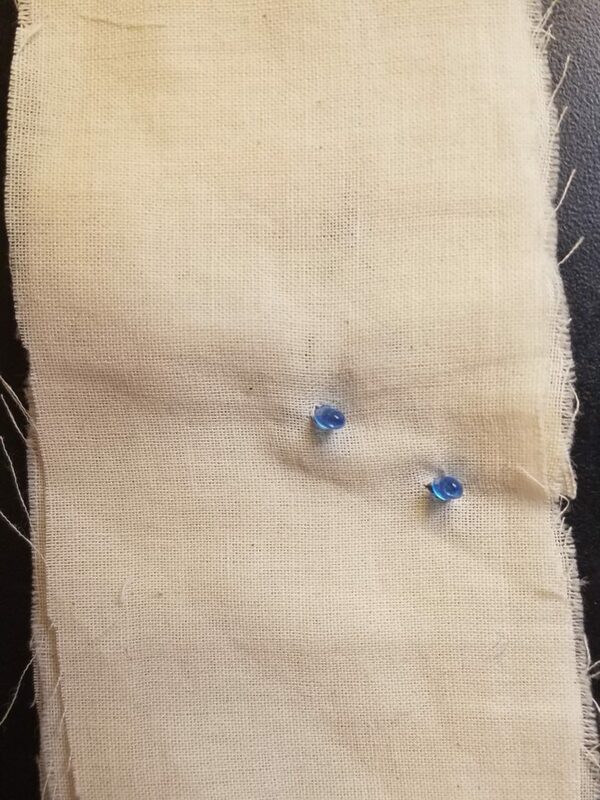 A coin cell 3V battery would be sewn into the loop itself and the loop tightened in order to make a solid connection. Then, I began thinking about what kind of LEDs to use and where to put them. 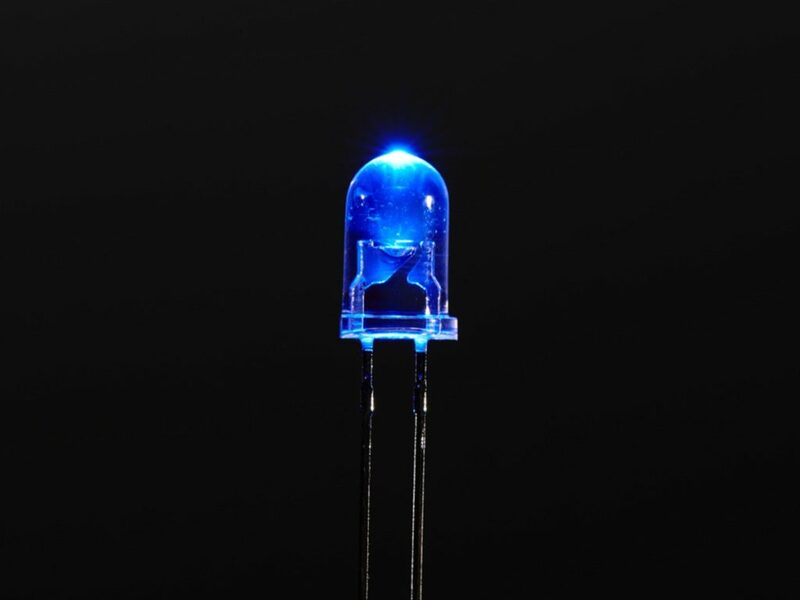 Luckily the shop had some blue LEDs available that were more delicate than the standards. 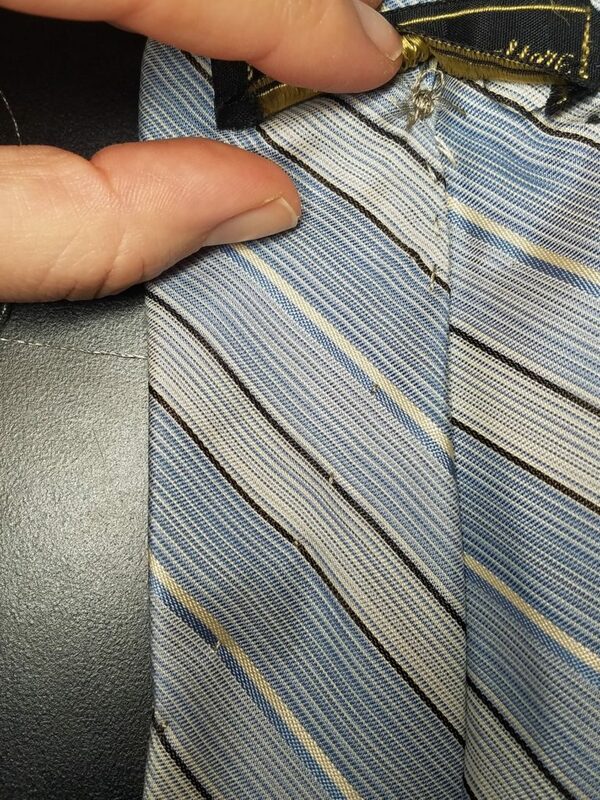 Based on the diagonal, blue striped pattern of the tie, I decided I would sew three of them along one of the stripes toward the bottom. I thought it would look more interesting than just having one or two right in the middle. Then I got to it and immediately forgot everything I learned last year about circuits. First, I had Paul tie the tie so I could pin where the end of the tie fell based on his anatomy. 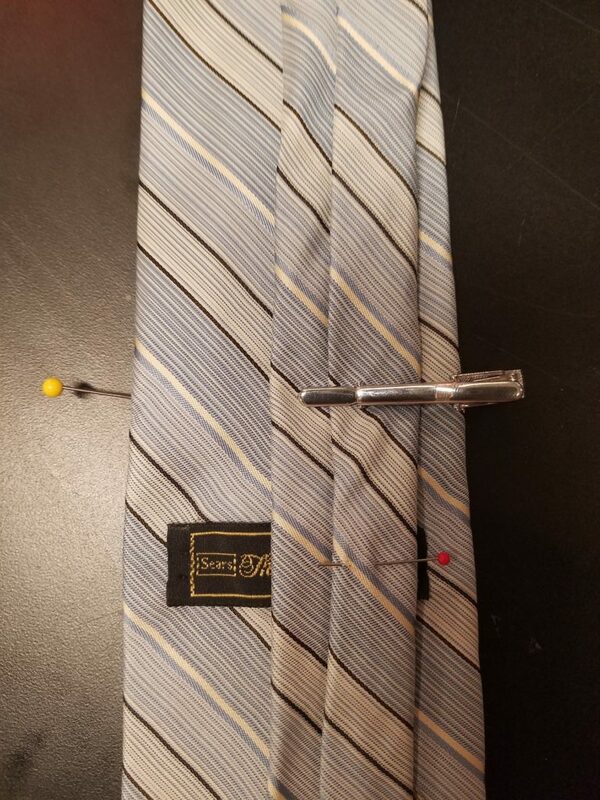 The red pin marked where the tail end of the tie fell on the feeder loop and the yellow pin marked where Paul would place the tie pin. 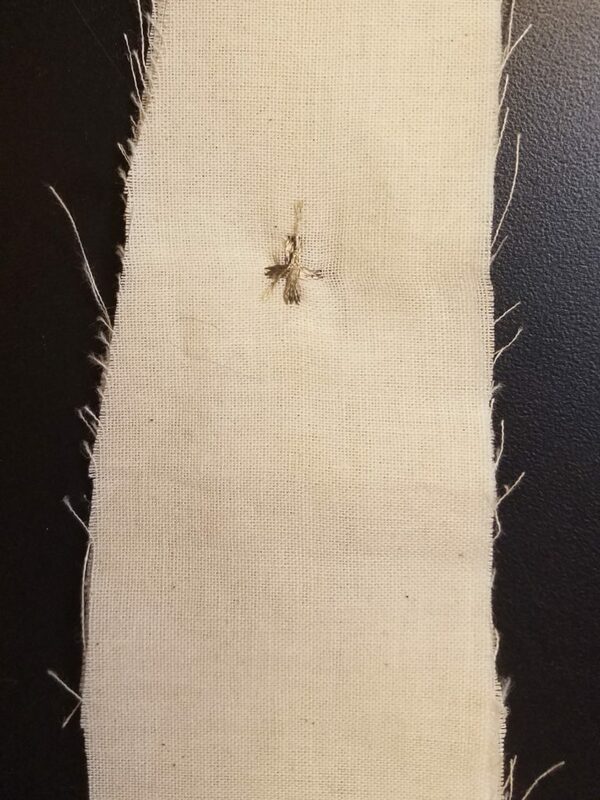 I tried to sew it so that the stitches were not obvious. The top circuit schematic would work. The bottom wouldn’t. On the right I drew out the simplest way to sew the circuit. 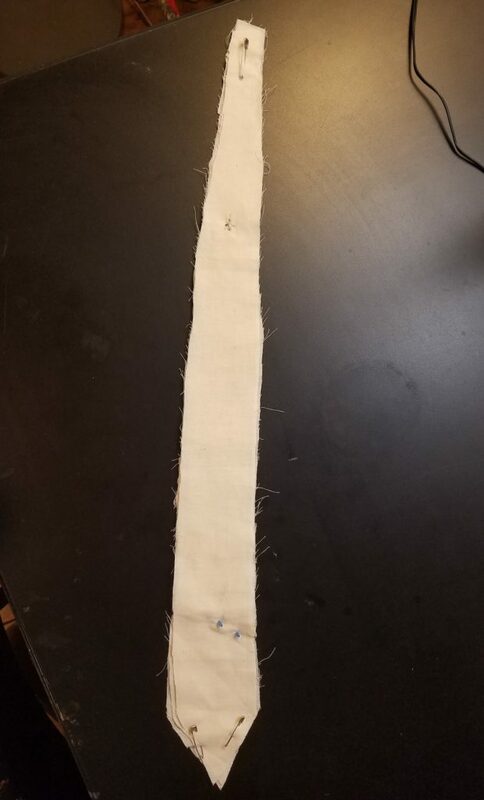 I starting sewing again but quickly realized that I would have to deconstruct the entire tie to make it work. 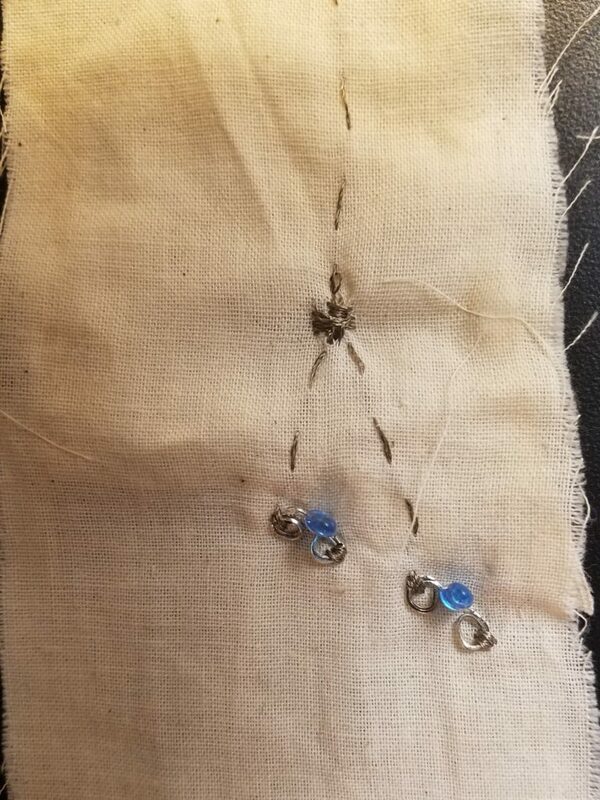 Ties are tied, you see, and if I were to sew directly into the outside shell, the circuit would surely short as soon as the conductive thread was tied together with the fabric. Not wanting to go completely down this road, I decided to prototype the idea (like I should have done from the start). Bottom layer: cathodes sewn to ground. 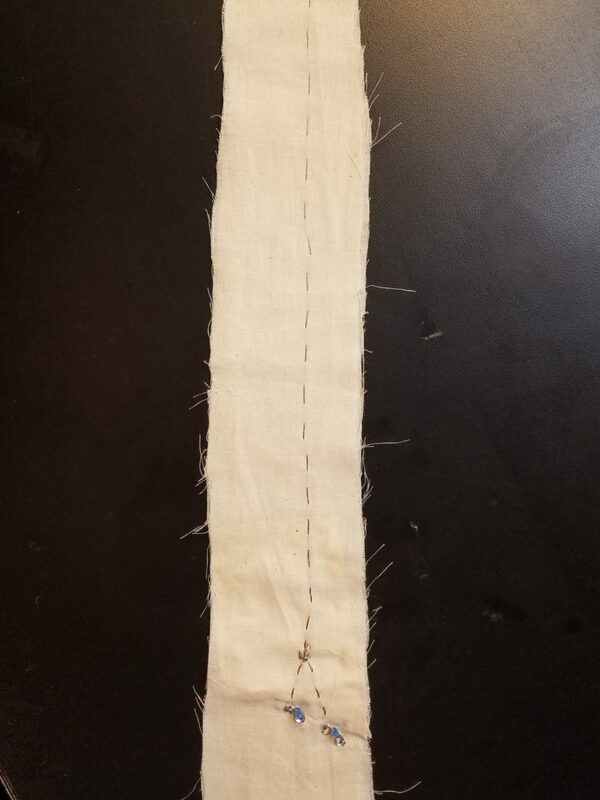 My next step will be to transfer this to fabric that can be inserted as lining into a finished tie.